I have been wondering for many years now, how the world of business fits into the everyday lives of both you and I. How in many respects, there are constant social demands on each of us to achieve this, and achieve that. How there was that itchy feeling that something may be wrong and that there is more to life that what we are making of it. I always felt that we at times have created a world we created of our own, where we create our own stresses and challenges, and we often are so occupied in these challenges that we can often lose ourselves in them. This order leads to use losing what is truly important to each of us, to our fellow colleagues, our friends, our family, and even ourselves - our true self, our true spirit. Over the years, I have learned that our true self and true spirit, can often be hidden behind our own ego, and this ego is something that we have fostered directly and indirectly through our interactions in society and with ourselves over the years. Knowing this, I have always wondered if it was easy to leave the corporate rat race? Knowing that we do need to make a living while at the same time make a life. While I still haven't been able to find a complete answer to that yet, I believe that finding your vocation is a big part of that. Finding that something that valuable skills, knowledge, and even just enthusiasm and happiness that something that you can bring with you and give back to your friends, your family and society with. So, with that, at least for me, I feel that I am feeling that there may be a way to do some business this while also still making a living. 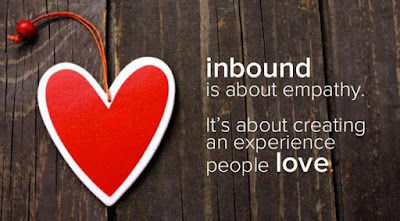 I still feel very early in my discovery journey on this, but I uncovered this concept called, "Inbound". helping people by "educating" and creating useful "content" that they may need, rather than simply reaching out to people to help them directly. You create this "content" which people "find" as seek their own "help" and come across your "content". With the internet, this helping process is facilitated very well, and we are seeing it being applied to help "people to live, shop, and do business" - so in all areas of life and business. In that you have created something useful and helpful for people, and they find it when they need information. Be that via an internet search, on social media, and other search and awareness means. I was very surprised and impressed by this concept, as I have always believed that it is important to help other people, perhaps as I was helped by people myself very early on in my life. I know that I love helping and teaching people, but I cannot say that I have always found the best way to do so, as I discovered the hard way that we really do need to ensure we can continue to make a living as well. So after discovering this concept of "Inbound" recently, as I learnt more and more about it, I have found my thoughts unraveling and discovering how I can apply it to facilitate just that. It has been a sudden revelation and feeling of, "why didn't I know or heard this concept before?" 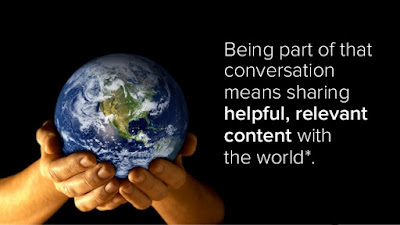 As I continue to research and learn more about Inbound, I have found that I continue to see the world in a different way, and how this "helping others" mindset can fall well into this concept. If you're wondering what I mean." My favourite analogy on what I mean is how we see wrestling differently when we truly understand it. When we realise that wrestling is actually fake, we start to view it differently. In the same regards, I too, am starting to really see the world differently. I can see myself making sense of it and conceptualising my thoughts around this "inbound" definition, or frame of thinking of it. As inbound I see it as simply a way to phrase the concept and philosophy, and set of practices. It's nothing new, but it is a great way to define this way of thinking and thoughts. I see "philanthropy" is one recent example too. People have been helping each other for years and in fact centuries now. It's only now the name "philanthropy" (though, not a new term), has been called out and highlighted to the world. It's even gotten to a stage where it is seen a bit like a must do for some people to be "in" with the tribe. 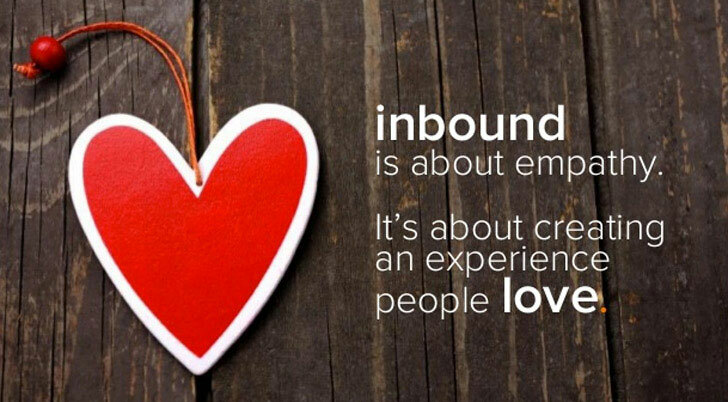 This new concept of "Inbound" seems to be following a similar path. So if and when you unravel this concept as I, and many others have, you may discover how "inbound" is already a natural part of our lives. It's a concept that brings back that "humanity" to business, through "vulnerability" and just overall helpfulness and education. If you're like me, your journey of understanding this "inbound" concept is only beginning, and as you discover more and more about it you will be surprised how you or others around you are already practicing the concept and may or may not realise it - as least not in this clearly defined way. *This wresting analogy was a concept shared by Seth Godin in his keynote in Inbound 2013.